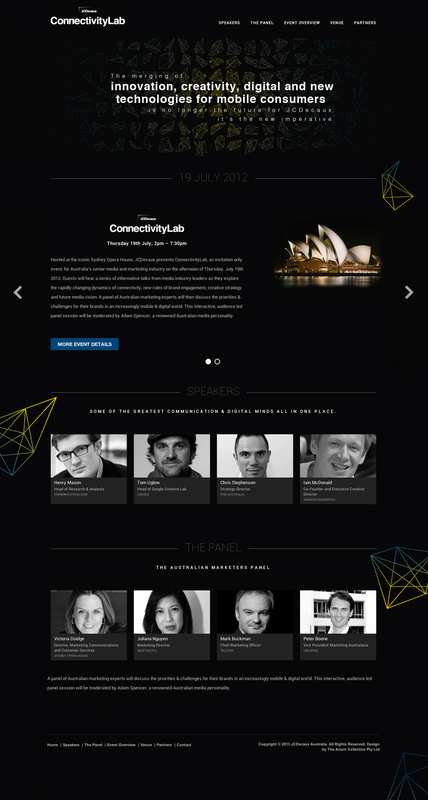 In July 2012, JCDecaux presented Connectivity Lab, an invitation only event for Australia’s senior media and marketing industry. Hosted at the iconic Sydney Opera House, the event was designed to engage and inspire media industry leaders in the face of rapidly changing dynamics of connectivity, new rules of brand engagement, creative strategy and future media vision. 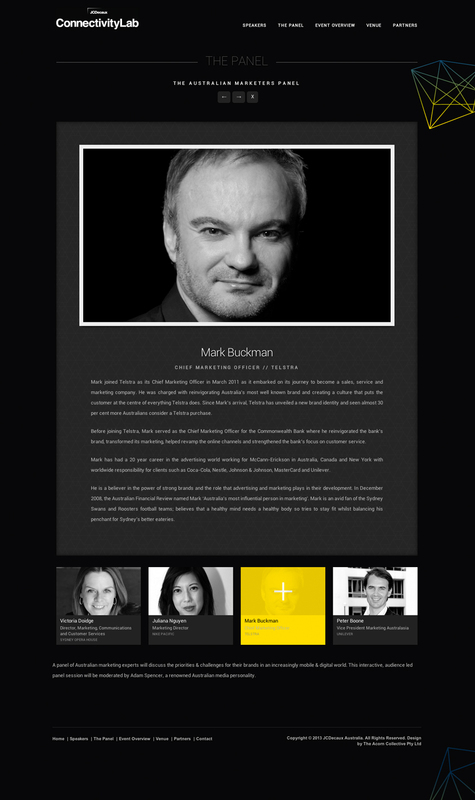 I worked alongside Sydney based event planners, The Acorn Collective, in the design of the Connectivty Lab 2012 website. The result is a content-rich and sleek design that captures the wide reach and impact of the Connectivity Labs event. Video created by the Spinifex Group.